New Partners of Cleveland Hearing & Speech Center is pleased to announce that we have once again chosen the perfect trikes for our upcoming Cleveland Big Wheel Relay! 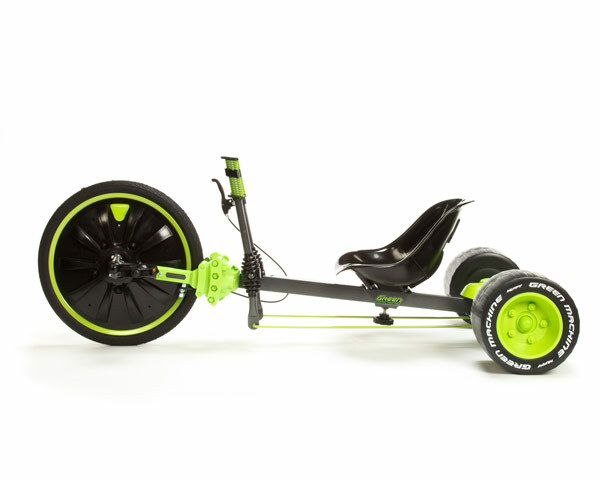 Introducing the Huffy Green Machine, with a durable steel frame, extra wide front tire, and dual-stick steering with quick-action hand-brake – the Huffy Green Machine will be a great fit for our “big kids” racing on June 14th! We will provide the trikes for the day, so no purchases are necessary by individual teams. If you haven’t taken your first step toward registration, please let us know who will be racing on your team by clicking here. And, for more information on our trikes or the upcoming Cleveland Big Wheel Relay race, please leave us a message. Previous Previous post: Join us in March for a fun kick-off happy hour at Deagan’s in Lakewood! Next Next post: Join Us this Month at our Kick-Off Happy Hour at Deagan’s in Lakewood!